I am floating on top of a lush green hill topped with a derelict boat that isn’t supposed to be here. As I glide, my lightness becomes apparent as the wind blows my little self to and fro, commanded by the thousand maestros of bladed grass moving in unison below. 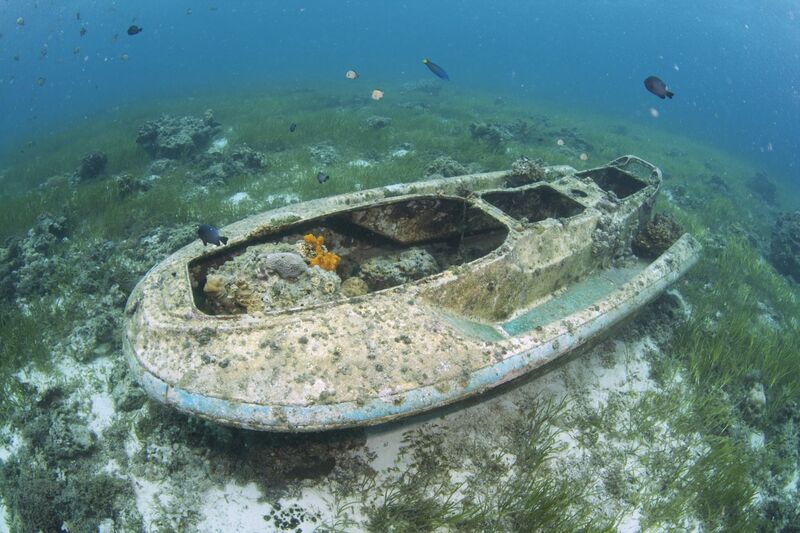 There are butterflies that look like fish fluttering about the aged motor boat and rocks that litter about that resemble corals. I am near the ocean.